With our eye for perfection and expert installation experience, we are able to create a stunning looking flat roof solution which compliments any style of property. We loved this Bay Window on the beautiful Williamson House in Ripon last month. Single Ply Roofing Membranes are designed to be installed in one layer and are glued or fastened directly over the roof insulation material. 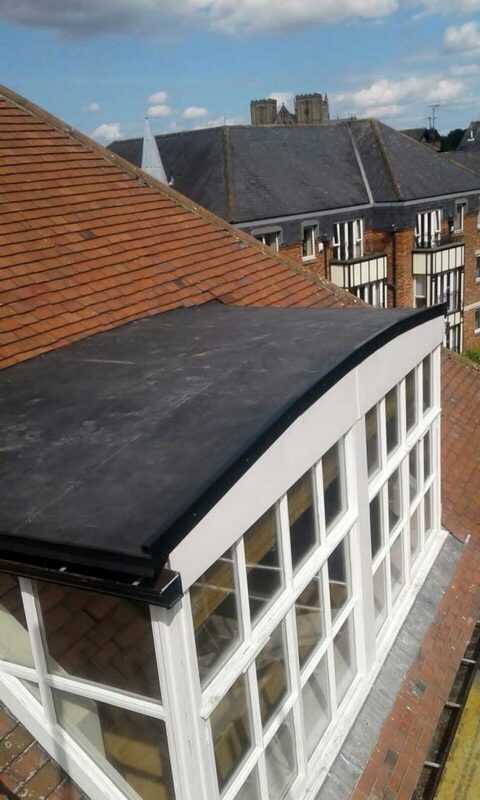 Single Ply Membrane is an ideal solution for any size flat roof surface as it is manufactured to be installed with minimal seams; thus maximising the efficiency and water tight capabilities of your roof. 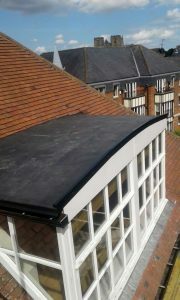 For more information on our flat roofing services, please see our Flat Roofing Page.